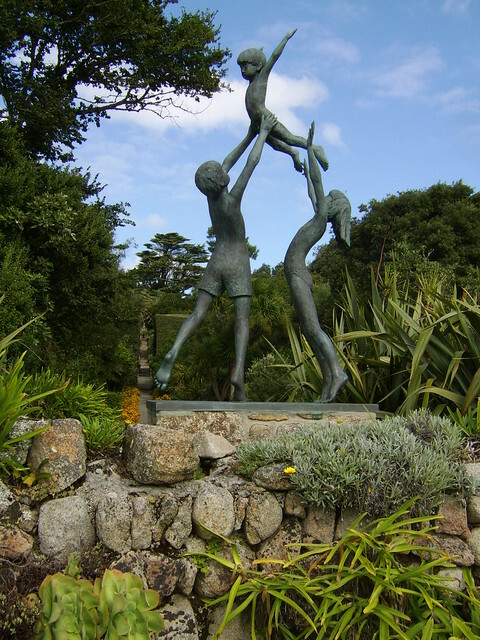 The sculpture 'Gaia and Tresco Children' by sculptor David Wynne which was commissioned in 1990. 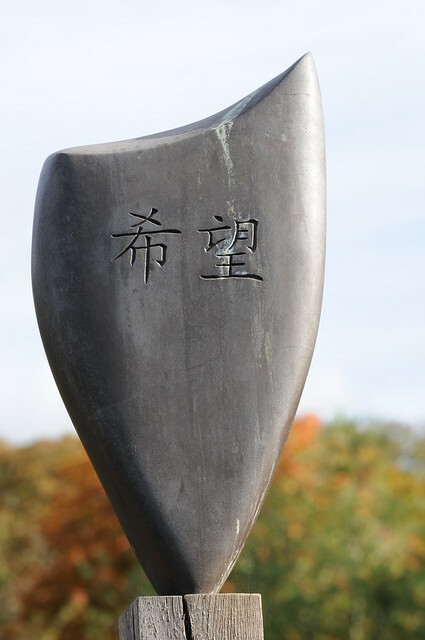 This piece can be seen within Abbey Gardens on Tresco, one of the five inhabited islands of the Isles of Scilly; the late artist is on record as declaring that he considers this piece to be the finest of all his works. 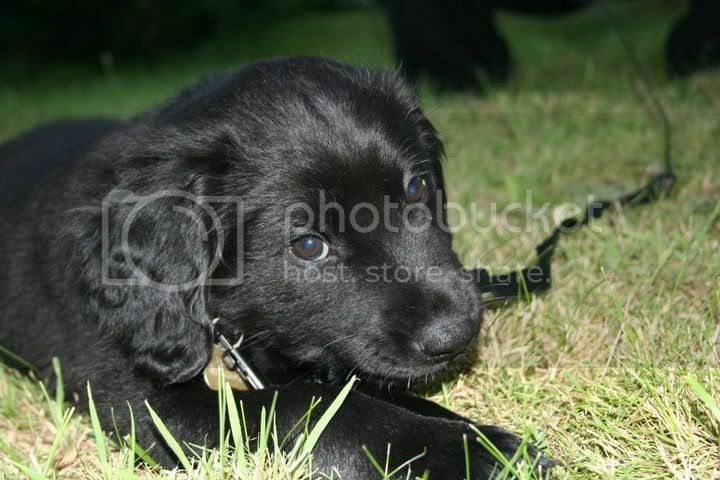 It is just lovely! Thanks for that. Sorry, I posted in the wrong thread. My photo is now in the Craft Circle. Thanks! Giz, there's a thread in Useful Tips and Tricks where members post photos of their own art - this thread is for photos of art by other people. 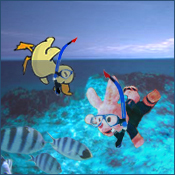 Thanks flopsymopsy. Do I delete and redo it, or is there a way to move it? I see you managed on your own, well done - and thanks! 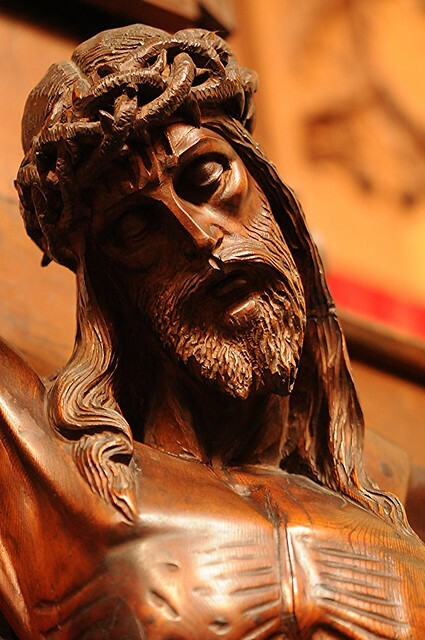 Detail of a crucified Christ, an early 20th century oak carving at Buckfast Abbey, Devon. Here is an artwork on display in the Sensory Garden, one of a number of themed gardens within the grounds of Buckfast Abbey here in Devon. I haven't yet determined the significance of this piece but as soon as I've completed my research, I shall provide an update. Does anyone know what the oriental characters mean? "Foreign devil see, foreign devil say: 'er?!'" We took a trip to Chicago at the end of September. Here's a photo from inside "The Bean", or the cloud gate. 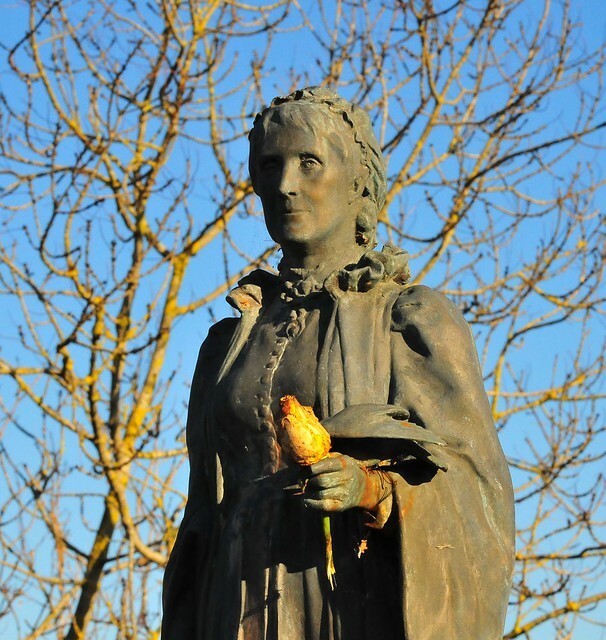 This is a statue of Georgina Tollemache, daughter of British Admiral John Richard Delap Tollemache, wife to Baron Mount-Temple, patron of the arts and friend of the writer Oscar Wilde. It was at her family property in Babbacombe, Torquay that Wilde initiated the homosexual affair that was to have such dramatic consequences for him in the following years. The statue which can be seen at the northern end of Babbacombe Downs next to the cliff railway, is around four feet in height and stands at the centre of a circular granite trough, and appears to be of a similar construction to that of the Statue of Liberty, having a greenish oxidation over its surface indicating that it contains a high proportion of copper in the material from which it is cast. 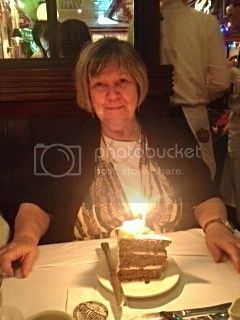 Mysteriously, the flower in her left hand is replaced, and has been for many decades, by an unknown donor as and when required. I apologise for the sub-standard quality of this image which was taken using a mobile phone camera. This is a sculpture called 'Phoenix and the Four Elements'. 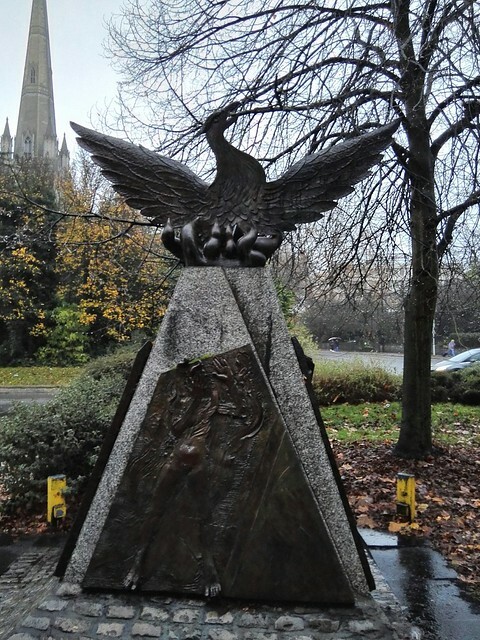 This piece was sculpted by John Doubleday for a commission by the Phoenix Assurance Company and was erected in 1985 outside the company's Freshford House headquarters in Bristol. The plinth is carved from granite and marble with four bronze cast plates depicting Earth (pregnant figure), Air (Sun), Fire (figure emerging from flames) and Water (swimming figure). The Phoenix Assurance Company is now a subsidiary of Sun and Royal Alliance but the sculpture remains on its original site. Close up details of the sculpture 'Man and Boy'. This life size bronze statue, located on Brixham's King's Quay, was designed by Elisabeth Hadley and is based on 'The Wheel' an earlier work by Brixham artist Arthur Briscoe (1873-1943). 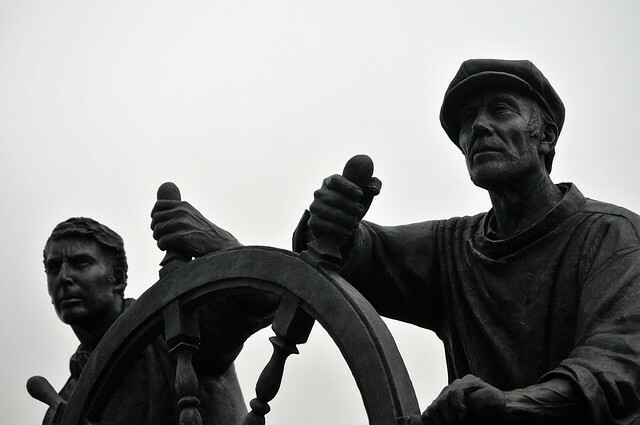 It commemorates both those lives lost at sea and the contribution made by the fishermen of the Brixham fleet. 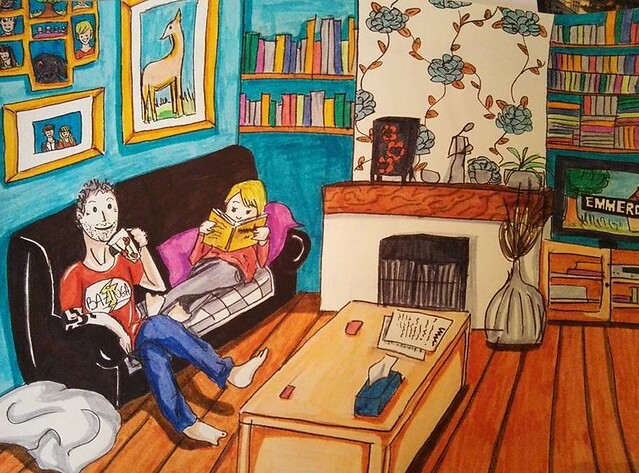 About three years ago, my partner and I were presented with this picture as a leaving gift from a young French lady from Nantes that we had been looking after as part of an exchange visit. I love it and we now have it framed and hanging in our dining room. 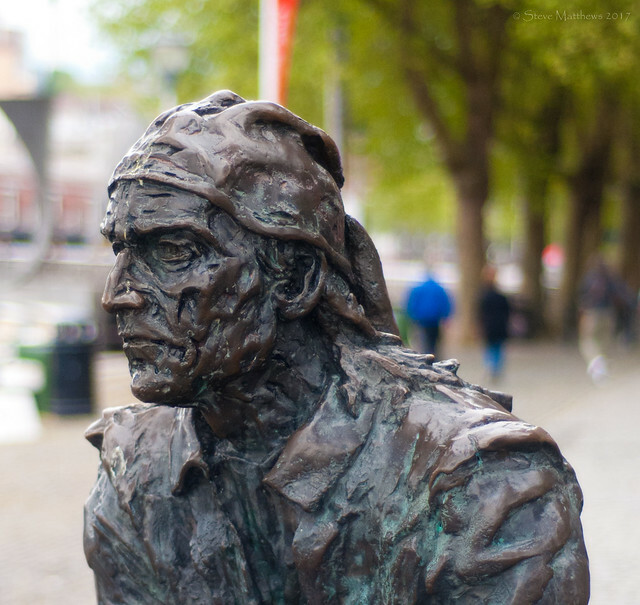 Close detailing of a statue of the explorer John Cabot located at Narrow Quay, Bristol. The bronze work was produced by Stephen Joyce and was erected during 1985. 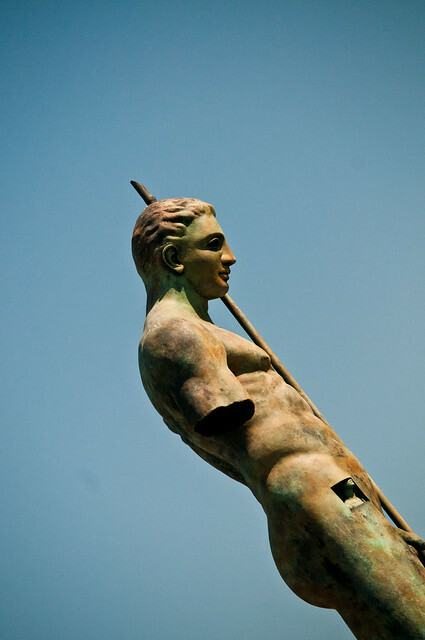 This statue, the 'Daedelo' (Daedalus) which stands near the entrance to the historic site at Pompeii beside the Temple of Venus, looks as if it could have been standing there since the town was destroyed by an eruption of Mount Vesuvius in AD 79. It is, in fact, virtually brand new having been cast in bronze by the Polish artist Igor Mitoraj during 1994. Surprisingly, the two examples by Mitoraj at the site have not proved to be too popular with the local population. Personally, I think that they both complement the ancient ruins very well. 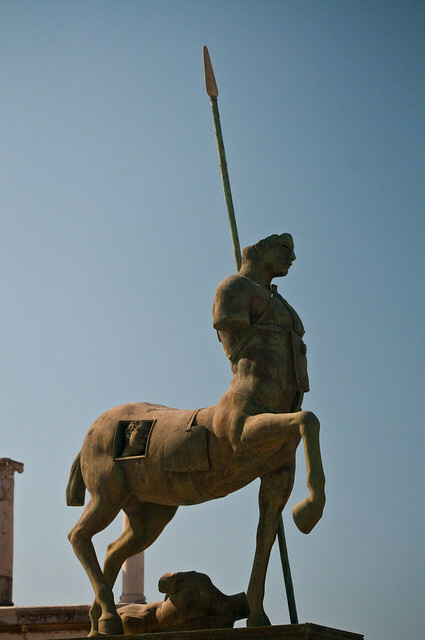 This is 'Centauro', the second casting by Igor Mitoraj which is located in the central square at Pompeii. This statue looks across the beautiful square in the direction of the Temple of Jupiter and onwards to Vesuvius in the distance. It is the perfect setting for this wonderful piece. 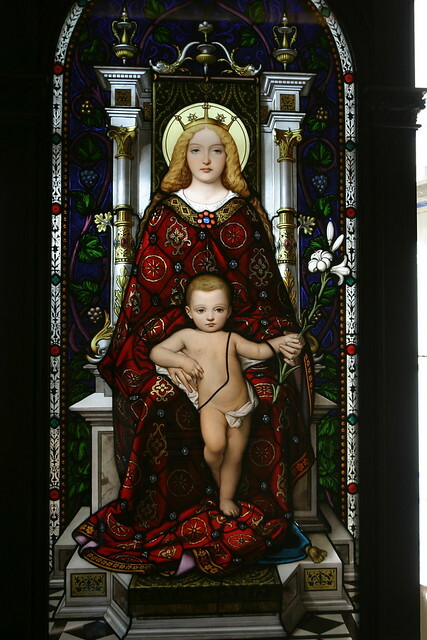 An example of stained glass on display in the Vatican. Beautiful... I'm off there with the trusty Nikon next year. Thanks for posting that image. Do you have any further information on both it and the subject? 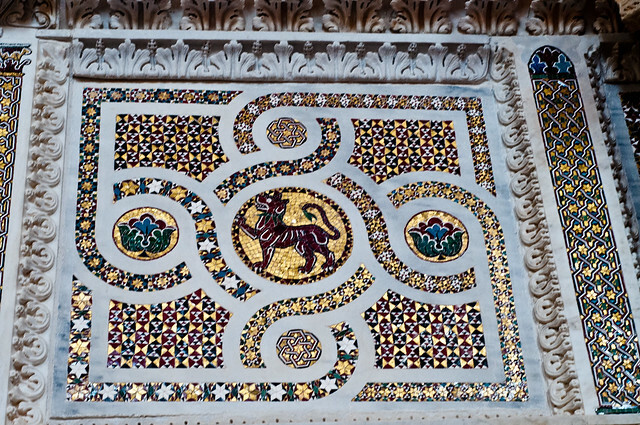 This image shows a decorative mosaic panel from the 'Pulpit of the Gospels' in the Duomo di Ravello in the town of the same name in the Campania region of southern Italy. It was constructed in 1272 by the architect Nicolo di Bartolomeo from the city of Foggia in the south eastern coastal region of Puglia. The entire structure stands some 12 feet in height, is supported by six marble columns and is richly decorated on all sides with similar beautifully coloured and intricate mosaics. Sorry I don't. It was in one of the long galleries as you walk around to get to the Sistine Chapel. I would suggest the subject was Madonna and Child but I could be wrong. You can't take photos inside the Sistine Chapel, the guards get very aggressive if you try, just for info. You can pretty much use your camera everywhere else in the Vatican/St. Peter's. Hi Mark... I agree with your assessment as the subject being the Madonna and child; I know that many important figures or noble families frequently had their images represented in works like these especially if they were patrons of the artists themselves. I wondered if you knew who the figure of the Madonna was and who the artist was... I shall have a look into it. 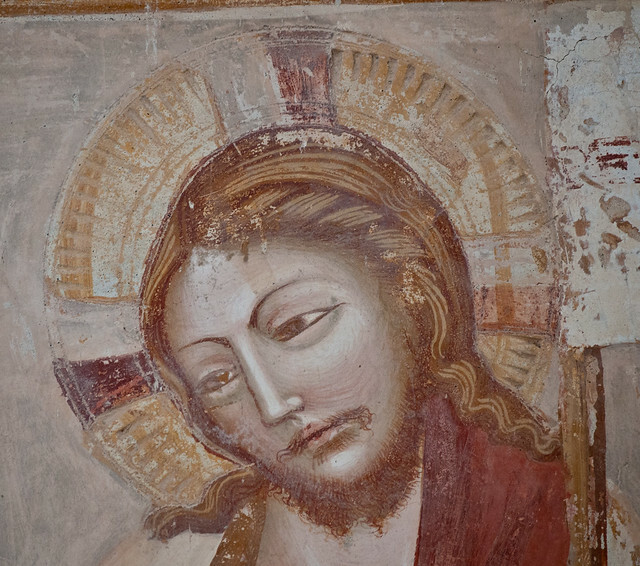 This image shows the detail of Christ's face in an 11th century fresco which can be found in the Chiesa di St Giovanni del Toro, the Church of Saint John of the Bull, in Ravello. During a visit to the town in 1922, the Chiesa di St Giovanni del Toro was one of the buildings that inspired the mathematician and graphic artist M C Escher to develop a number of designs in his series of tessellated artworks. 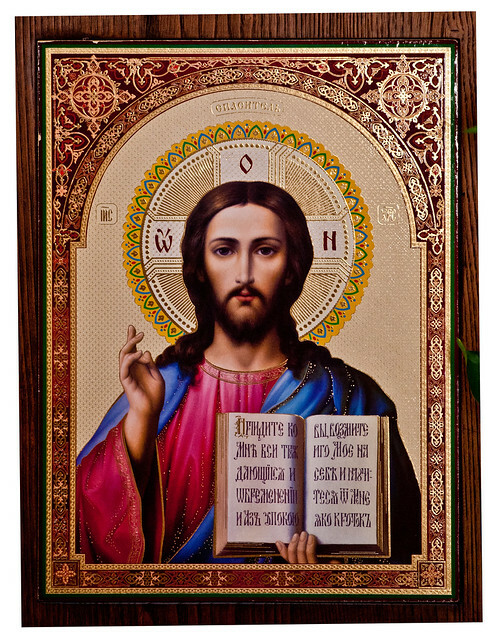 This image is that of a beautiful icon that I found on display in a tiny village church in southern Italy earlier this year. The subject of the icon is Saint John the Baptist, the work being on display in his church, the Chiesa di San Giovanni Battista in the centre of the tiny medieval village of Pontone. The golden painted background in this example shows that this particular work is specifically for display on holy days. Sadly, on the day that I captured this image the church was deserted and there was no-one available for me to ask what the significance of the occasion was... besides that, my Italian is just passable anyways!